Think about “weather” as the clothes you are wearing on any given day. “Climate,” on the other hand, is all the clothes in your closet. Molly Woloszyn’s metaphor helps visitors at the Peggy Notebaert Nature Museum understand how today’s weather does not really tell us what is happening in terms of climate and climate change. 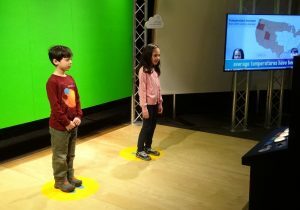 It’s the first of many lessons and activities i n the exhibit Weather to Climate: Our Changing World, which opened on Saturday. 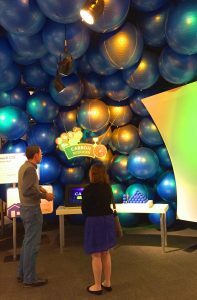 The exhibit provides many hands-on ways to understand weather, climate, and climate change. For example, using a weather simulator, you can mix ingredients like wind, humidity, cloud cover and more to whip up a thunder storm or a tornado—or a sunny day, if you are so inclined. 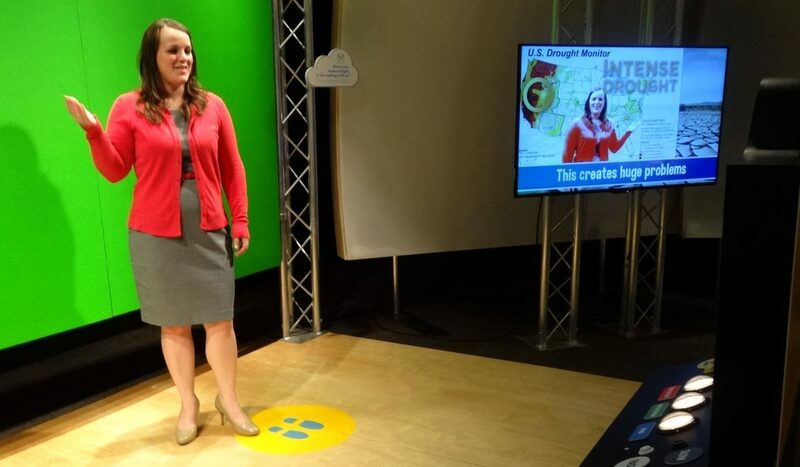 And visitors can stand in front of the green screen and try their hand at being an on-air meteorologist. 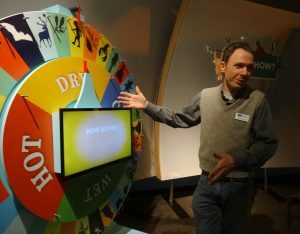 With the spin of a wheel, visitors can learn the impact of various climate scenarios on a variety of plants and animals, and they can create crazy new animals to cope with what may lie ahead. 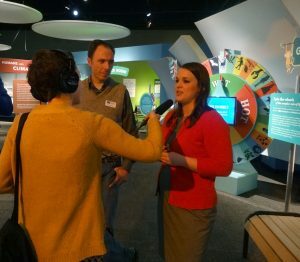 The exhibit journey wraps up with an opportunity to learn steps we can take to reduce our carbon footprint. Woloszyn, IISG climate Extension specialist, who provided ideas and expertise to the exhibit development process, was on hand last week, along with Peggy Notebaert’s Steve Sullivan (pictured above) and Marc Miller to meet with reporters and introduce the exhibit. Want to continue the conversation on social media?  Molly shares a lot of great information and resources over on Twitter, including her work at the Midwest Regional Climate Center. And we’d love to hear about your experiences in the new exhibit! Feel free to connect with us on Twitter (#weathertoclimate is the hashtag the Peggy Notebaert Nature Museum is using), Facebook or Instagram.